Tenant farmer Andrew Stoddart has revealed that his 10 year battle to have his rent reduced in what must be Scotland’s longest running rent dispute was only concluded this July. The decade long rent wrangle with the Colstoun Trust over the 900 acre East Lothian farm involved two Land Court cases, two appeals to the Court of Session and years of legal debate before ending last November following an agreement with the landlords to reduce his rent brokered virtually on the steps of the Land Court. The rent review notice served by tenant Andrew Stoddart in November 2003 in sparked off a series of legal challenges from his landlord including an argument that his lease contractually prohibited the tenant having his rent reviewed under Section 13 of the 1991 Act. The right to have the rent reviewed in the Land Court was finally granted by a Court of Session ruling in 2010. However, just before the case was to be heard the landlord agreed to a 20% reduction in rent. This agreement was finally signed off in July 2013. Expressing his relief that his rent had finally been settled, tenant Andrew Stoddart said; “This rent dispute has dominated my life for the last ten years. I came into this farm as a new entrant paying a premium rent; when the 2003 Act was passed I seized the chance to get my rent reduced to a more realistic level because I was led to believe that economic conditions would play a more important role in rents. How wrong I was! “What I thought was going to be a simple process to revalue my rent has turned into a nightmare, seriously hampering my business and causing incredible stress to my family life. I wouldn’t have got through it all without the support of my wife, family and advisers and help from the STFA. 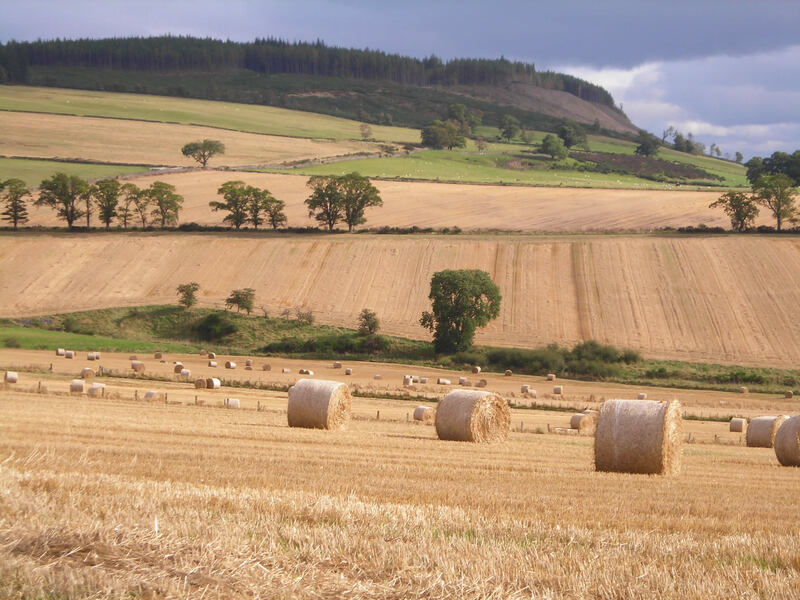 The Scottish Tenant Farmers Association has called on the Cabinet Secretary to end the uncertainly in the tenanted sector by setting out the remit, scope and timescale of the Agricultural Holdings Review as soon as possible. STFA Chairman Christopher Nicholson said: “We have known for several months now that the government will be conducting a tenancy review but apart from the announcement that the absolute right to buy will be on the agenda we still have little idea of the scope of the review, how extensive it will be, how long it will take and who will be on the review group. It is now time for the Cabinet Secretary to set out his stall and fire the starting gun so we can begin the business of discussing the future of the tenanted sector. “This review gives us a chance to take positive action to level the tenancy playing field, create opportunities for new entrants and reshape the structure of land tenure in Scotland. The industry has spent 10 years agonising over tenancy law and endlessly discussing the same issues that dominated the debate in 2003. We must now admit that our current tenancy legislation is not delivering and look for solutions. The Cabinet Secretary obviously shares this view and we must take advantage of this once in a lifetime chance to overhaul and modernise the system. Come along and help shape the future! By kind permission of the McEwen family. The Scottish Government has today confirmed that the long term trend in falling livestock numbers is again matched by the continuing shrinkage in the tenanted sector. Over the last year cattle and sheep numbers have dropped by 2.3% and 2.5%, the size of the pig herd has seen a 12.1% reduction and the area of rented land has contracted by a staggering 21,000ha representing a loss of 370 (5%) tenanted holdings. 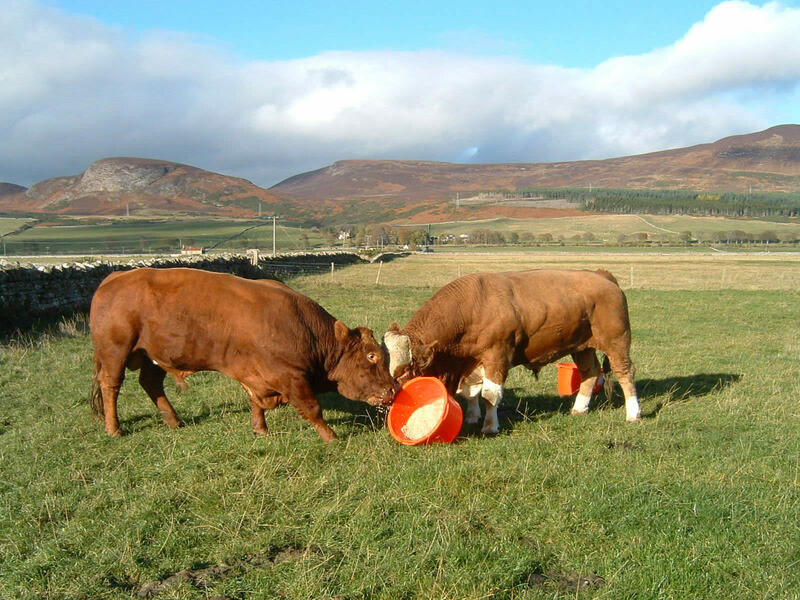 Commenting on the situation STFA Chairman Christopher Nicholson said: “It is ironic that whilst Scotland’s flagship food and drink export sector flourishes and demand for Scottish beef is at an all time high, agricultural production is dropping. The fall in livestock numbers over the past year is not unexpected, following the appalling weather conditions faced by many of our farmers, but the underlying trend is worrying particularly in fragile areas where the marketing and processing infrastructure will be reaching a tipping point as throughput declines. These figures demonstrate the need for continuing targeted direct support reinforced by coupled payments to help arrest the decline in livestock numbers so that we can satisfy the demand for our produce both home and abroad. “Government figures echo the reality of a tenanted sector in decline as landlords withdraw land. STFA has been aware of an increasing number of tenancies being lost, but even the most pessimistic estimates come nowhere near the 21,000 ha in the census. 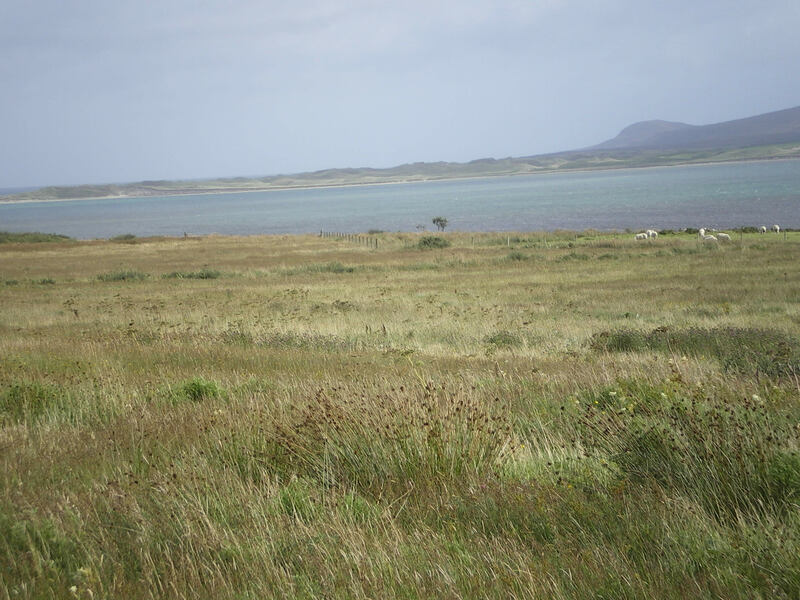 Unless positive action to taken to ensure tenanted land remains within the sector there will be fewer and fewer opportunities for new entrants and the remaining rungs will vanish from the farming ladder. The Scottish Tenant Farmers Association have welcomed today’s launch of the Practitioners Guide to Rent Reviews and the announcement of a new Short Form Arbitration service as a step in the right direction for a cost effective and quick alternative to the Scottish Land Court. STFA recognises the work SAAVA has put into the developing the Guide and the new arbitration system and expects them to be valuable tools in the rent review process. Commenting on the introduction of SAAVA’s arbitration scheme STFA chairman Christopher Nicholson said: “The Practitioners Guide will provide a much needed rule book governing the conduct of rent reviews. We hope that the Guide will help and encourage an accurate and consistent application of the rent review process throughout the country and remove some of the brinkmanship and pressure tactics that are all too evident at the moment. The concept of short form arbitration was mooted three years ago and I am pleased that it is now ready for use in the rent review process. The success of the new system will, of course, hinge on the members of the panel of arbitrators and the confidence they will inspire. “This should not, however, be seen as the end of rent review problems. In detailing the rent review process the Practitioners Guide only too clearly emphasises the influence that open market lettings have on sitting tenants rents, inevitably causing rents to escalate with little prospect of future reductions in times of falling profitability. Rent reviews will continue to be contentious, expensive and stressful as long as rents are driven by a scarce and over-heated open market which takes little account of what the farming business can actually stand. “The evidence is there to substantiate this and we will be pressing the Cabinet Secretary to revisit the way in which rents are set during the Agricultural Holdings Review. By contrast, in England where rents are based on the productive capacity of the holding our sister organisation, the TFA, is urging tenants to serve rent notices on their landlords to reduce rents following the last few years of falling farm incomes. This is not an option in Scotland with our market driven rent system. SALVESEN RIDDELL RULING – DOES IT AFFECT YOU? 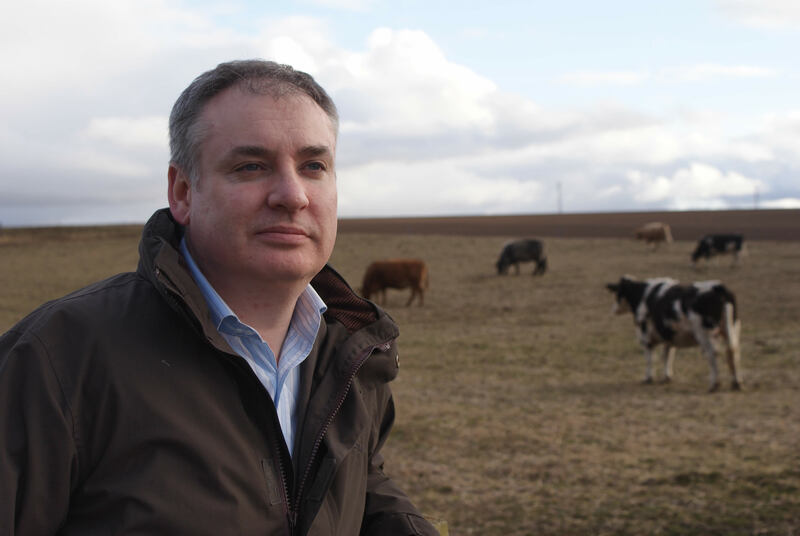 The Scottish Tenant Farmers Association is urging all tenant farmers who are or have been involved in Limited Partnership tenancies to contact the Scottish Government as soon as possible following a letter issued today by the Cabinet Secretary Richard Lochhead to tenant farmers who may be affected by the recent Salvesen Riddell judgement by the UK Supreme Court. “I am writing to you as a result of the Supreme Court judgement in the Salvesen v Riddell case in April 2013. This is a complex legal case about farming tenancies and only a relatively small number of people may be affected by the ruling. “Subject to certain limited exceptions, to be in the affected group you would need either to have served or received a dissolution notice for a Limited Partnership between 16 September 2002 and 30 June 2003. “Unfortunately as we have no official record of who is affected I am taking the unusual step of writing to tenant farmers and landlords who may be involved in Limited Partnerships. “For those who are affected, the Scottish Government intends to resolve this situation by bringing forward legislation in Parliament to amend the Agricultural Holdings (Scotland) Act 2003 during the next parliamentary term; and we are now consulting with both landlords and farming tenants to ensure changes to the legislation are as fair as possible. “My officials have met with representative bodies including the Scottish Tenant Farmers Association, Scottish Land and Estates, Royal Institute of Chartered Surveyors, National Farmers Union for Scotland and the Scottish Agricultural Arbiters & Valuers Association. “However, it is also important that we make direct contact with landlords and tenants who may be affected by the Supreme Court Ruling. “This questionnaire is completely confidential, only takes a couple of minutes, and will help ensure the Scottish Government’s proposed legislative changes are as fair as possible. This process will help you understand your position better and allow us to engage directly with you as appropriate. “Once a legal remedy has been put in place it will be important for you to seek independent legal advice. Your solicitor, Citizen’s Advice Scotland and the organisations mentioned above should be able to help with this. STFA welcomes Richard Lochhead’s letter to tenants who may be affected by the Salvesen Riddell decision. STFA has been helping the Scottish Government trace tenants in Limited Partnerships and these people will shortly be receiving a letter from Mr Lochhead. We will be contacting our members directly but it is important that everyone affected is made aware of what happening and how they may be affected and we would encourage them to respond as soon as possible to this call. The Scottish Tenant Farmers Association is expressing its concerns to the Scottish Government that the inclusion of deer farmers in the new CAP support regime may encourage some sporting estates to fence in wild deer on hill ground to qualify as eligible for entitlement to Single Farm Payment. Commenting on the situation STFA chairman Christopher Nicholson said: “Deer farmers missed out on the last CAP programme and so it is only right and proper that they become eligible for support in the future. 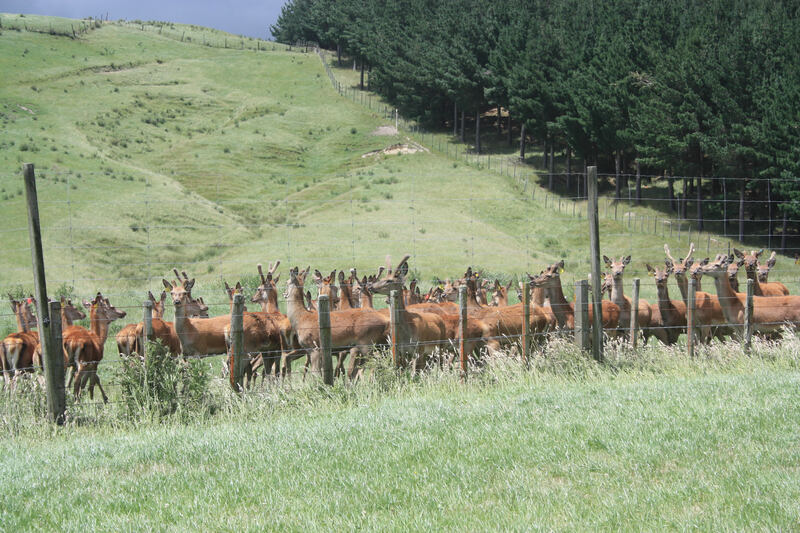 However, it is crucial that deer farming is rigidly defined so that only boa fide deer farmers are able to draw down support payments and the floodgates are not opened for substantial areas of hill to be enclosed and stocked with wild deer masquerading as domestically run farmed animals. 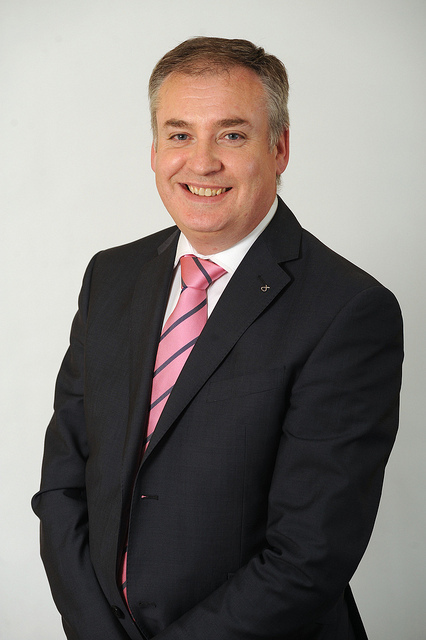 The Scottish Tenant farmers Association has welcomed the Cabinet Secretary’s announcement today that he is to take charge of a thorough and wide ranging review of the tenanted sector including consideration of extending tenants’ rights to buy their farms. In response to the announcement STFA chairman Christopher Nicholson said: “We are pleased that the Cabinet Secretary has recognised that the tenanted sector is ailing and in need of an overhaul. We are still working with 65 year old legislation, long past retirement age, and we look forward to working with government and other industry bodies to make tenancy law fit for the 21st century. “It is also good news that the Cabinet Secretary has confirmed that, if implemented, ARTB will only apply to 1991 fully secure tenancies. This must remove the fear held by landlords that rights to buy could be extended to short-term tenancy arrangements. “STFA also welcomes confirmation that the absolute right to buy for tenant farmers is to be considered as part of the review. It is high time that the emotion and rhetoric surrounding ARTB is put to one side in favour of a rational debate, taking into account not only the effect it would have on individual lives and businesses but also the impact it would have on Scottish agriculture and the benefits it would bring to rural Scotland. In response to concerns about the often conflicting interests between field sports and agriculture the Scottish Tenant Farmers Association is urging landlords and their shooting tenants to play fair with farming tenants. Autumn is frequently the time when the competing demands of farming and shooting can flare into dispute as ripening crops are subjected to marauding pheasants causing crop damage and heated tempers. Commenting on the situation STFA spokesperson Angus McCall said: “Field sports can be a major source of disagreement between landlord and tenants especially where shooting is rented out with keepers eager to provide good sport for their clients. Tenant farmers, trying to make a livelihood from the farm, understandably feel that agricultural production is the main purpose of the lease and sporting activities should take second place and fit in with farming practices. Relationships deteriorate rapidly when crops are damaged by birds or deer and shooting parties interfere with the day to day running of the farm. “This conflict could all too easily be resolved if landlords and gamekeepers treated farming tenants with respect, consulted with them and tried to work together. Although the TFF Guide to Good Relations provides some advice on relationships between the shooting tenant and the agricultural occupier, the Code of Good Shooting Practice* is deafeningly silent on relationships with the farming tenant – the full time occupier on the land. The Code waxes lyrical on respect for the countryside and on the welfare for the shooting quarry, but nowhere is there any mention that the sport is taking place over another person’s workplace whose interests also have to be taken into account. If this Code is to be credible, this flaw should be addressed immediately and recommendations made to improve relationships between shooters and farmers. 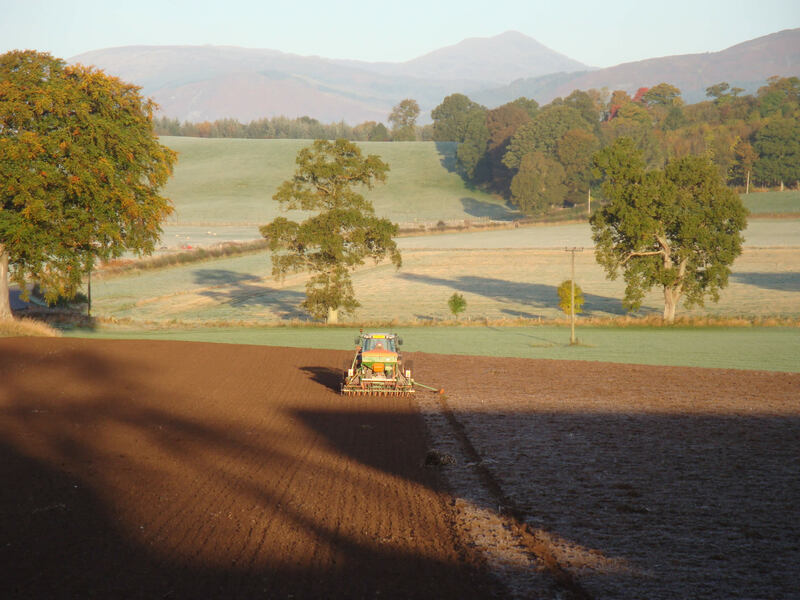 The Scottish Tenant Farmers Association is concerned that the recent publicity claiming record highs in farmland prices will heighten landlords’ expectations in the next round of rent reviews in November. STFA chairman Christopher Nicholson said: “This would seem to be yet another attempt to talk up the land market and we can expect to see this hype reflected in the rental sector in a couple of month’s time as the rent term date approaches and land agents try and use the open market to drive up rents. “The capital cost of land rarely reflects its agricultural productivity and this is as true in the rental market as scarcity causes rents to overtake profitability. It is high time that commonsense was brought to bear and sitting tenant rents become based on the real worth of the land, that is, what the farm can produce rather than what it could fetch in an over-heated market stoked by profit driven land agents. “The failure of last year’s report by the Rent Review Working group to recognise the weakness of the rent review formula and recommend change was a major disappointment to the tenanted sector. The Group’s lacklustre report is widely regarded as a lost opportunity to stabilise these unsustainable farm rents. STFA will be using the forthcoming review of agricultural holdings to press for radical change to the way in which farm rents are set to ensure tenants’ businesses are not crippled by unreasonable rent demands. The issue of farm rents is a major problem and one of the main causal factors in calls for serious land reform in Scotland. The tenanted sector will continue to stagnate unless these real issues are addressed as a matter if urgency.